With three shelves, two drawers and two doors, this buffet will provide plenty of functional storage space to any dining room. The set has charming glass doors and ornate trim and pilaster details. 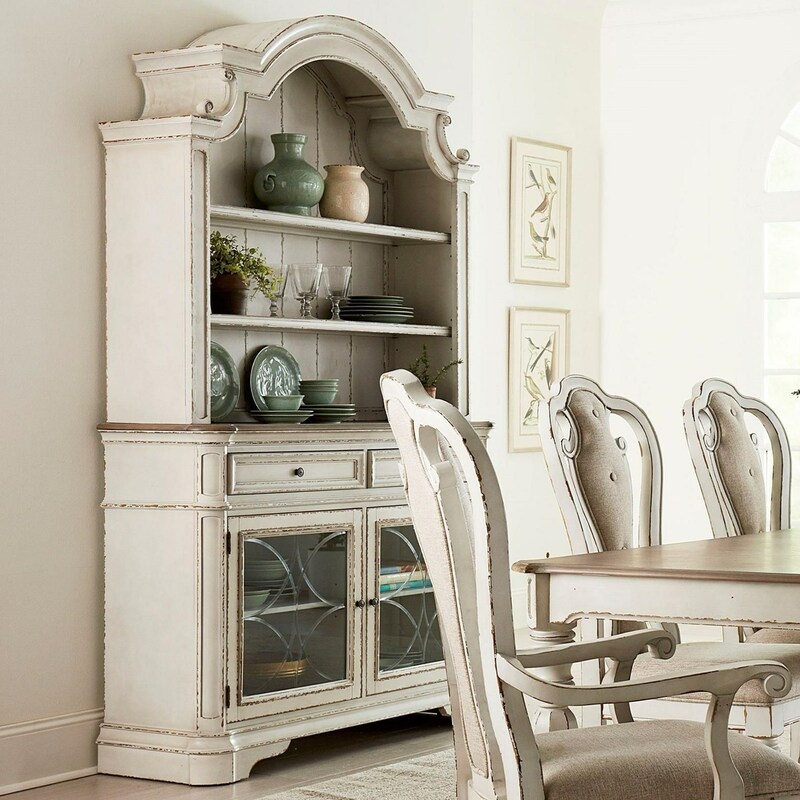 The Stevenson Manor Traditional Buffet and Hutch by Standard Furniture at Miskelly Furniture in the Jackson, Pearl, Madison, Ridgeland, Flowood Mississippi area. Product availability may vary. Contact us for the most current availability on this product.